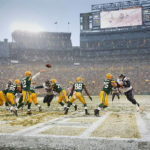 Photos From The Green Bay Packers vs New Orleans Saints NFL Football game. Here are some of my favorite sports photos from the Green Bay Packers vs New Orleans Saints NFL football game that I shot at Lambeau Field on Sunday September 30, 2012 in Green Bay, Wisconsin. 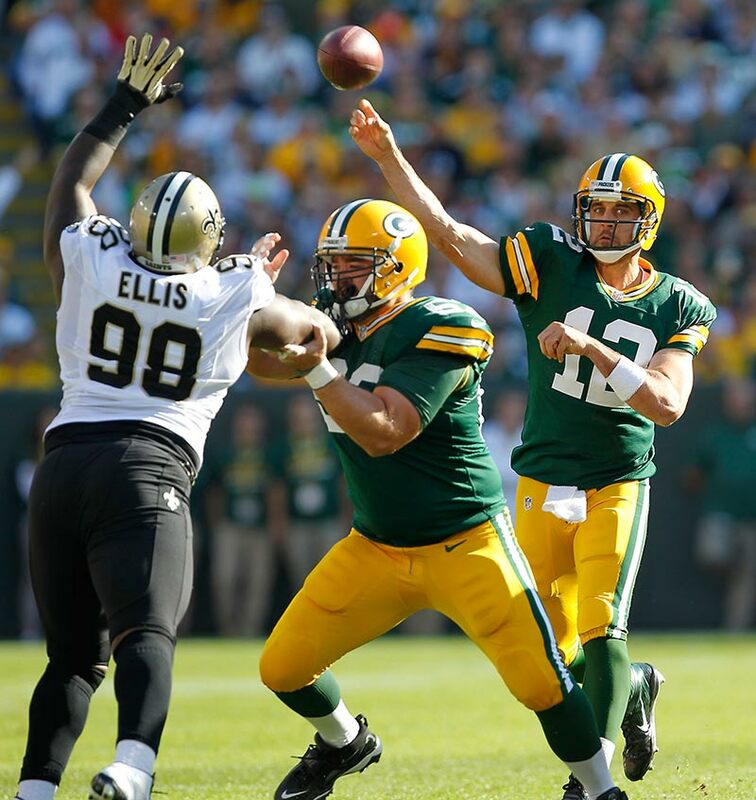 The Packers defeated the Saints 27-28 to go 2-2 on the first half of the season. 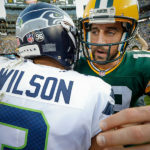 One of the story lines of the games was the NFL referees being back after the lockout with the NFL ended shortly after the Packers lost to the Seattle Seahawks on Monday night in a game that ended with a very controversial call by the replacements referees. 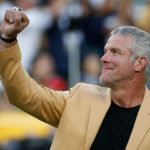 If you ask a Packers fan the regular referees didn’t do all that great of job during this game. After a few of the call I was planning how I would cover the fan riot at the end of the game if the Packers lost. Luckily the Packers won and life can go on. 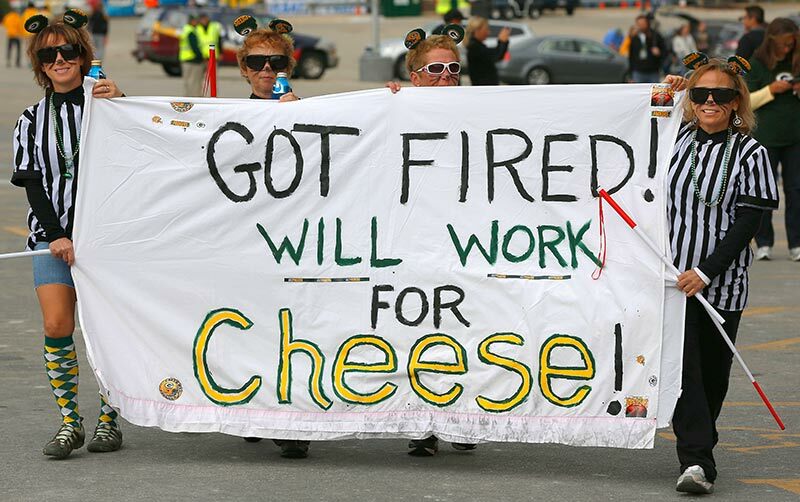 Green Bay Packers fans hold up a sign in reference to the NFL replacement referees. 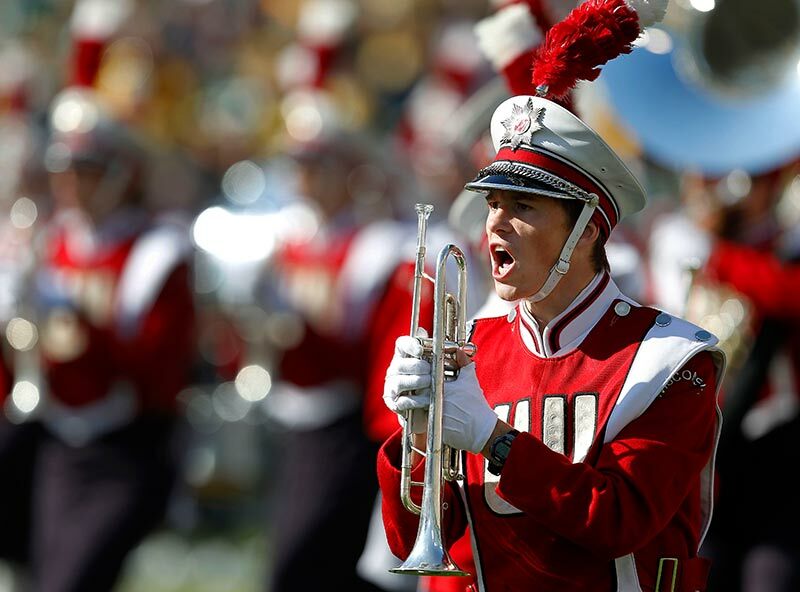 The University of Wisconsin marching band. New Orleans Saints cornerback Jabari Greer tackles Green Bay Packers wide receiver Randall Cobb. New Orleans Saints wide receiver Marques Colston catches a first half touchdown pass as Green Bay Packers free safety Morgan Burnett defends. 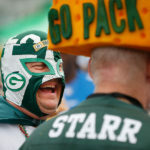 Green Bay Packers wide receiver Greg Jennings celebrates a touchdown pass with guard T.J. Lang. Green Bay Packers tight end Jermichael Finley can’t hang on to a pass in the endzone as New Orleans Saints linebacker Scott Shanle defends. Green Bay Packers quarterback Aaron Rodgers gets tripped up by New Orleans Saints defensive tackle Brodrick Bunkley as defensive end Will Smith looks on. Green Bay Packers wide receiver James Jones catches a touchdown pass as New Orleans Saints linebacker Scott Shanle defends. Green Bay Packers outside linebacker Clay Matthews sacks New Orleans Saints quarterback Drew Brees. New Orleans Saints cornerback Patrick Robinson intercepts a Aaron Rodgers pass intended for Green Bay Packers wide receiver Jordy Nelson. 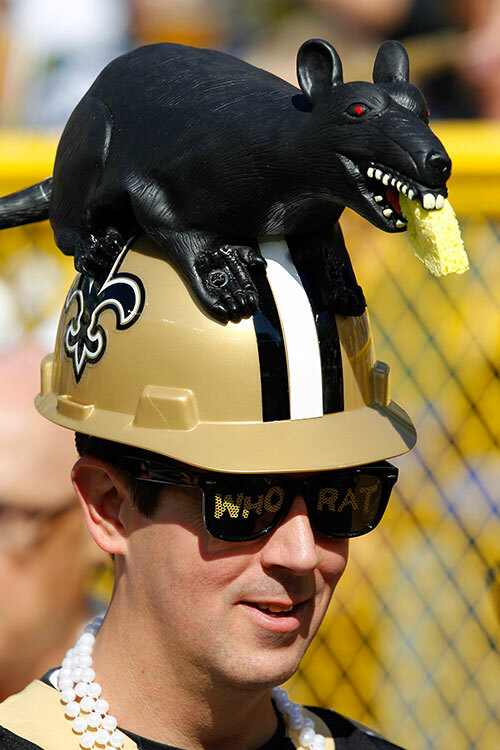 New Orleans Saints quarterback Drew Brees looks for a receiver. 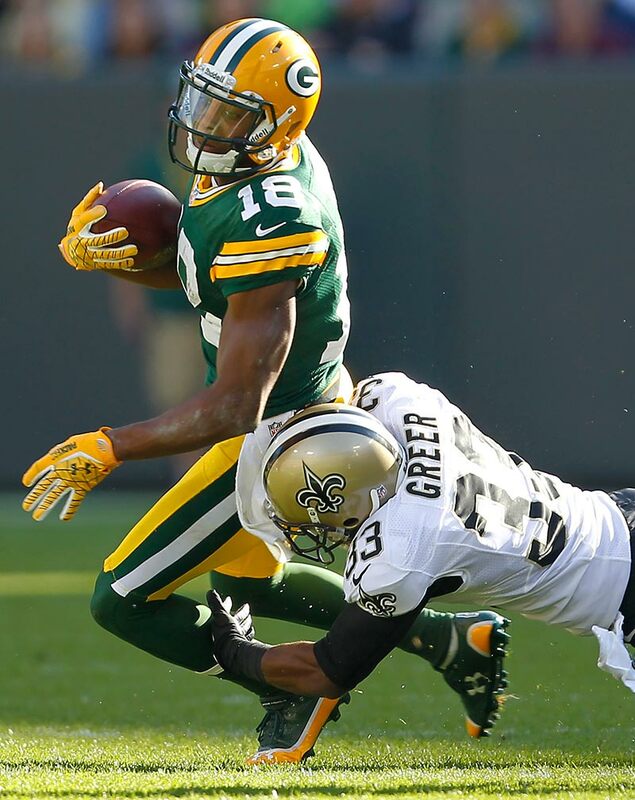 New Orleans Saints cornerback Jabari Greer trip up Green Bay Packers wide receiver Jordy Nelson. 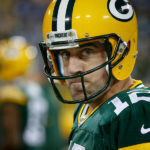 Green Bay Packers quarterback Aaron Rodgers talks with a referee after getting poked in the eye. Green Bay Packers quarterback Aaron Rodgers and New Orleans Saints quarterback Drew Brees talk after an NFL football game Sunday, Sept. 30, 2012 in Green Bay, Wis.
Green Bay Packers center Jeff Saturday high fives fans.